Adding a blog to your website is extremely easy! Follow these steps to set up your blog page and start blogging to your site today. To get started, log in to your account, and navigate to your website editor via the "Website" tab in the dashboard. Once in your site, click the "Add Page" button to add a new page to your navigation. Next, it's time to name your Blog. Name it whatever you would like to show up in your navigation bar. Then Click "Submit". Once finished, you'll see the new "Blog" page in your navigation. 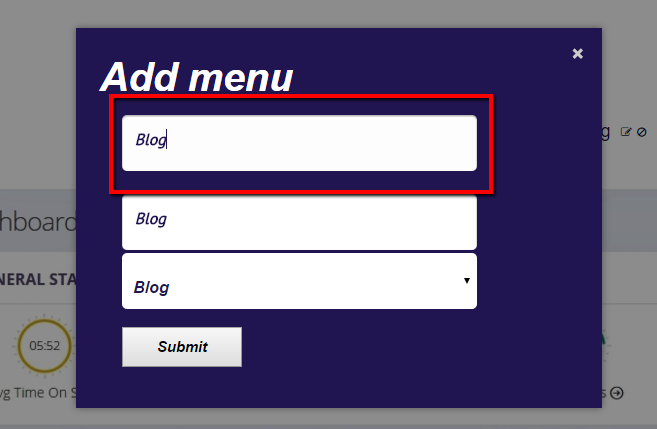 When you write blog entries, this is the page they will post to on your site. That's it! You now have a great blog on your site to create and distribute custom content for your business.